The physical benefits of swimming are well known – it is arguably the most comprehensive ‘all body workout’ available – but a new study has found regular swimming can reduce the symptoms of anxiety and depression. Mental health illnesses affect millions of people in the UK, with approximately a fifth of British adults showing symptoms of anxiety or depression, as stated by the Mental Health Foundation. Recently, World Mental Health Day shone a light on the issues faced by society when it comes to mental health issues, and while there are a range of methods that can be used to reduce symptoms, a regular visit to your local swimming pool will almost certainly prove beneficial in the long run. According to a YouGov poll commissioned by Swim England, 1.4 million adults in the UK have found that swimming has had a positive effect on their anxiety or depression – while almost half a million of British adults who swim and have mental health issues said that regular swimming has resulted in them making less frequent visits to a medical professional in order to discuss their mental health. The poll found that around 3.3 million Brits over the age of 16 who have mental health issues swim at least once every two to three weeks. Hayley Jarvis, head of physical activity for mental health charity Mind, believes the importance of exercising for both physical and mental wellbeing has never been clearer. And now Swim England has helped to launch the #LoveSwimming ‘Escape’ campaign to encourage more adults to take up swimming as a means of decreasing the levels of stress that they may feel on a daily basis. 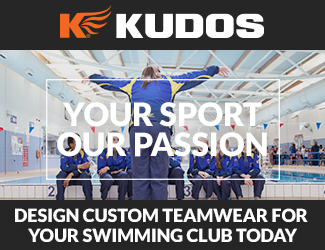 The campaign was launched recently and reflects the extremes of fast-paced modern life alongside the impact it can have on your mental health, in stark contrast to the unique environment offered by swimming. So if you’re struggling, get down to your local pool and give it a go. Previous ArticleBecome a Referee in Sport! Next Article Should Kids Play to Win or Play for Fun?